Noun. Also cypher. Late Middle English. When I was about 8 years old, I was one of the founding members of a (now defunct) secret society consisting of me, my best friend and my dog. 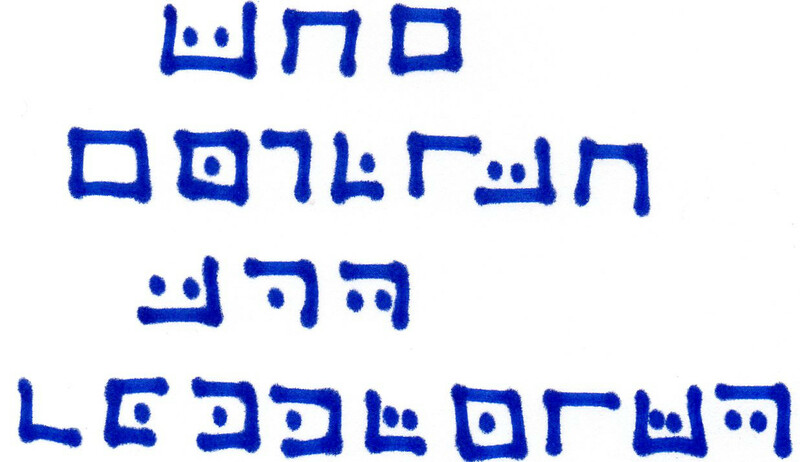 The above is an example of the cipher we used to communicate top secret messages and, while it might not have been as sophisticated as, say, the Enigma machine, to the best of my knowledge none of our communications were ever compromised (which is more that can be said of the ... pff ... Enigma machine). There's a free Lexicolatry t-shirt to the first person that can tell me the name of my secret society. Nuts. I knew I should have put something in small print about not interrogating former members, all of which might be true seeing as that dog ran away, never to be seen again, and I haven't spoken to that best friend in about 15 years. Anyway, seeing as I didn't, you can let them go and well done! You broke the code, as my secret society was indeed called The English Spy Community. If you'd like to collect your prize of a Lexicolatry t-shirt (which I'm now in the process of hastily designing), email or tweet me your deets and I'll have it sent out to you.